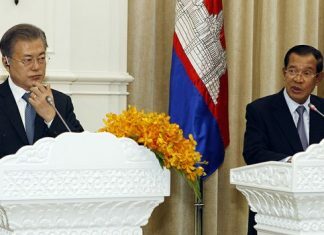 A man sits on stage wearing a tie, white shirt and jacket. 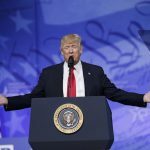 Then, one woman in a short dress appears with another in an eccentric outfit wearing an orange wig, and takes away his clothes. 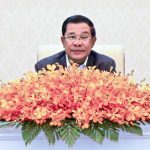 Phnom Penh will gain four new water treatment plants and 9 out of 10 Cambodians will have access to state-supplied clean water by 2025 under a proposal put forward by officials on Wednesday at the inauguration of a new facility in Phnom Penh. 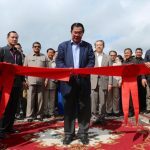 Prime Minister Hun Sen on Tuesday broke ground on a $175-million, Chinese-funded sports complex that will be used to host the 2023 SEA Games, apologizing to sports fans for the country being too busy rebuilding after war to host the games sooner. 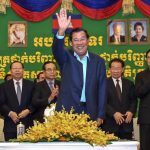 Prime Minister Hun Sen accused analysts of hypocrisy on Friday for taking aim at the government over leaks of alleged telephone conversations between Cambodia’s political rivals, while staying silent over the surveillance techniques of the CIA. 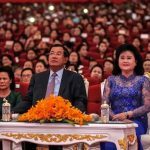 Prime Minister Hun Sen has used an international conference to once again raise the issue of Cambodia’s war-era debt to the U.S. and attack the U.S. for killing children in wars waged in Cambodia and the Middle East. 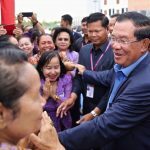 With crucial local elections around the corner and a national contest set for next year, Prime Minister Hun Sen on Tuesday returned to warning Cambodians that a vote for anyone but the long-ruling CPP was a vote for plunging the country back into the bloody depths of civil war. 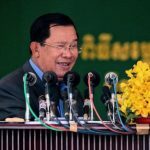 In a dovetailing of strongman rhetoric across continents, Prime Minister Hun Sen offered an unprompted explanation on Monday of U.S. President Donald Trump’s recent attacks on the news media. 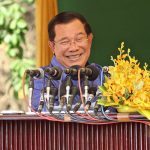 Prime Minister Hun Sen on Monday said the government was expecting tourism-sector job numbers to hit 1 million by 2020 to accommodate the more than 7 million visitors expected to visit Cambodia per year by the end of the decade. 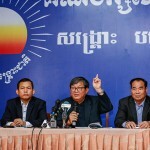 The opposition CNRP will have a permanent new president by the end of the week, replacing recently resigned opposition leader Sam Rainsy, in order to ensure that the party can officially endorse candidates for commune elections in June. 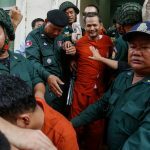 Three jailed opposition members handed in their resignations this week in response to a legal amendment that could result in the government dissolving political rivals over the crimes of their leaders. 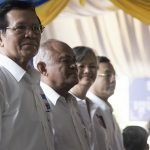 CNRP members Meach Sovannara and Um Sam An, who are both serving lengthy jail terms on charges widely perceived to be politically motivated, cited “personal reasons” in their Thursday resignation letters sent to the CNRP’s Secretary General, said Pol Ham, chairman of the party’s steering committee.